The Médecins Sans Frontières / Doctors Without Borders (MSF) Emergency Surgical Unit in Aden has been receiving large numbers of patients in recent days as a result of the deteriorating security situation in Aden and other parts of Yemen. Scores of people have been wounded in fighting in Yemen over recent days, with many treated at the MSF hospital in the southern city of Aden. "Large numbers of injured people have been arriving at the MSF hospital in Aden as a result of the upsurge of violence in Yemen. 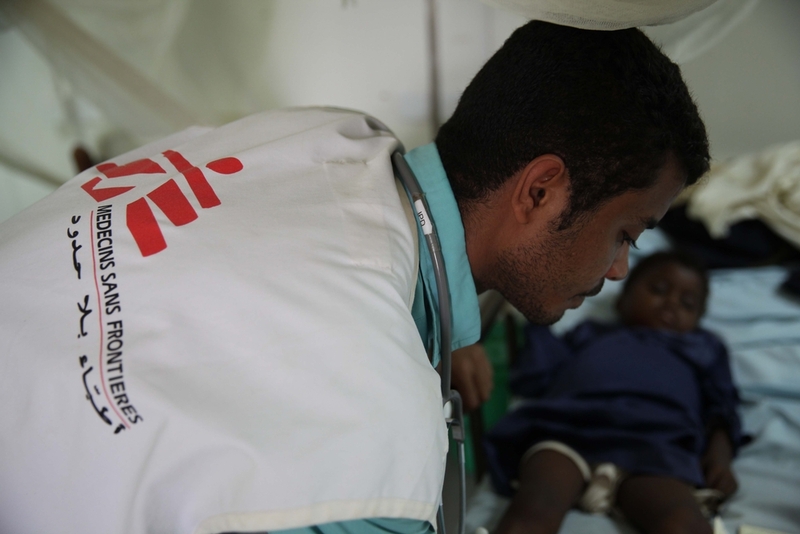 Since last week our hospital in Aden received more than 180 patients", said Jane Ann-McKenna, Director of MSF Ireland. "Over 50 patients were admitted on Wednesday alone, most of whom had gunshot wounds and required emergency surgery. On Thursday, the MSF hospital in Aden received 80 injured people, with many more expected to arrive," she said. Between March 24th and 25th, 19 people were also admitted to Al-Nasser Hospital in Ad-Dhale', where MSF runs the emergency ward. Read a second article on the situation in Yemen: "We are having problems with the dead bodies"
MSF is calling on all parties to respect the neutrality of medical facilities. Since fighting broke out on Thursday March 19 in Aden between forces loyal to President Hadi and elements of the security forces, there has been an upsurge in insecurity in Aden and other parts of southern Yemen, including Ad-Dhale', Lawdar, and Lahj. MSF is also in contact with hospitals in those areas to arrange patient referrals and to provide possible support. Other parts of Yemen also remain tense, following international airstrikes in the capital Sanaa overnight. MSF is monitoring the situation in Sanaa and is poised to provide assistance. However, with the international airports in Aden and Sanaa closed, MSF is currently unable to deploy additional emergency medical staff to support existing teams on the ground, which are already overloaded.